On 7 August 2014 ITV will publish an e-book, Kate Parry Frye: The Long Life of an Edwardian Actress and Suffragette. Based on her prodigious diary, this is my account of Kate Frye’s life and is a tie-in with the forthcoming ITV series ‘The Great War: The People’s Story’, in which Romola Garai plays Kate. Kate has just begun her summer holiday – staying with her mother and sister in their rented rooms in Worthing. Not out all day as furious wind, everything jangling and banging. I felt seedy and got up late. Agnes too was very queer – says she knows she is going to be ill. Read and dozed in the afternoon and did some writing in the evening. Germany has declared war against Russia for interfering against Austria over Servia – and against France!!! Goodness alone knows why unless this is what she has been preparing for and planning for years. England must be drawn in – I don’t see in honour what else we can do. John may be called to a Fort at any minute. Oh the whole idea frightens me. John Collins, had been involved with the army all his life, despite being the most un-warlike of men. The Collins family had long been leading members of Knaresborough (Yorkshire) society. John’s father, however, had been a younger son, had not inherited any family wealth and had gone into the army, becoming a colonel. 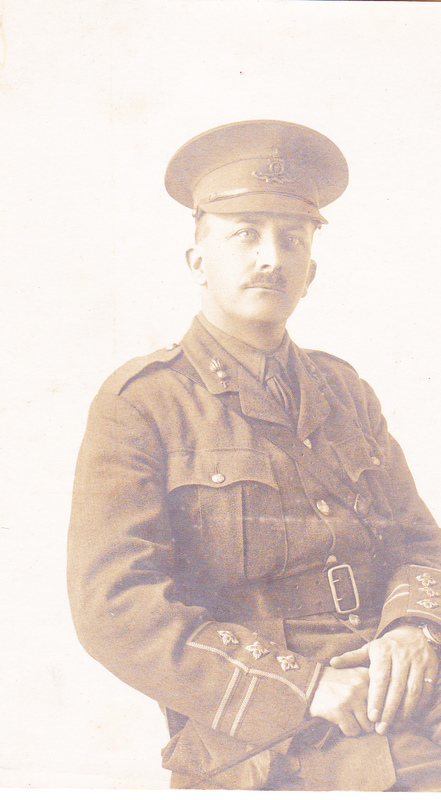 In 1900, after a brief spell as a student at Cambridge, John had served out in South Africa as a private with the Yeomanry Field Hospital, Bearers Company during the Boer War. Ever since returning he had worked in the theatre while continuing as a member of, first, a Volunteer brigade and then as an assiduous member of the Territorial Army. His theatrical career had been punctuated by length periods spent at training camps – on Salisbury Plain and at coastal forts such as Shoeburyness. So we can see why the thought of war caused Kate a particular fear. This entry was posted on August 2, 2014, 10:19 am and is filed under First World War, Kate Frye's Diary. You can follow any responses to this entry through RSS 2.0. You can leave a response, or trackback from your own site.